Festival bottlings! These are whiskies that should get any whisky fan hot under the collar. Why? Well, when they do go on sale, you can find some of your favourite old-fashioned distilleries knocking out something a little more exciting. Whilst core range whiskies can be very good – I mean, this is why you like said favourite distillery – after a while it’s often nice to try something different from them. It’s like your partner has put on a new frock or suit (depending on your leaning) for a party, maybe saucy underwear for afterwards. It gives you a nice new thrill… and yet you’re still in familiar territory. In this way, I found my favourite Caol Ila (and probably favourite whisky of the past couple of years) the Feis Ile 2013 bottling, possibly the sexiest whisky going. In fact, Feis Ile, the Islay Festival, is the big event that’s pretty much led the way with annual limited edition whiskies. It’s become tradition to see a flood of interesting bottlings hit the market immediately afterwards, as people return from Islay and hawk their wares at online auction sites. Consequently it’s mainly at the auction sites where you get to see such interesting whiskies. Browse around and you can find bottles dating back a few years, each one a different twist on a distillery. You might have to pay a little more, but sometimes not as much as you’d think – because the thing is, everyone else went out and bought limited edition bottles to put up at auction as well, and flooded the market. Either you buy online, or you could have good friends in the whisky community who are happy to exchange a sample or two. That’s how I acquired these two, from Deanston and Lagavulin. They’re not my favourite distilleries – such things are personal and curious choices, after all – but they’re both very good distilleries. 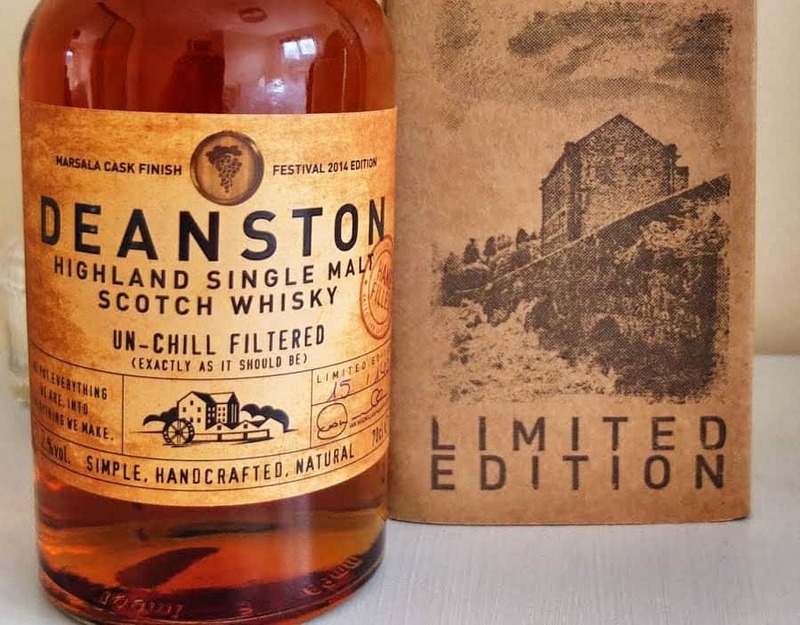 That said, Deanston is definitely climbing the ranks of the most trustworthy whisky brands for me. Anyway, on with the show. Bottled at 57.2% ABV, and costs around £90. Colour: deep copper, burnished. On the nose: classic dried fruit aromas here, but on closer inspection there are blackcurrants, redcurrants, blackberries. Hedgerow jam and stewed apples. Summer puddings, most definitely, and drizzled in golden syrup. In the mouth: that’s a lovely texture – quite light, but velvety. All of the nose comes through, yet it feels a little sweeter than I expected. Less about the fruits, more about the Demerara sugar or Molasses. Crunchie bars, with a honeycomb note. Creamy chocolate. On consideration come the dried fruits you’d find in a Speysider. Bright wood spices to balance things out a little, but it’s certainly for those of you with a sweet tooth. My thanks to the Whisky Rover for this sample. Absolutely cracking stuff. Bottled at 54.7% ABV, and costs anything upwards of £150. Colour: deep gold. On the nose: an ashy smoke as opposed to sweat peat. Mellows eventually to something more approachable and delicate. Sandalwood and Lapsang souchong. Eventually opens up to waxy notes, maritime aromas. Harbourside barbecues, fried – if a little overcooked – sausages. In the mouth: again ashes rather than sweat peat. After a while the smoke dies to reveal grapefruit juice, with a dash of lemon. Briny – very salty, in fact. Sea bass. Tobacco. Sooty and industrial. A little blackcurrant juice towards the back end, maybe elderberry. Didn’t really work for me – too rough and ready, too two-dimensional, especially following the Deanston. Lagavulin fans will probably love it, but you won’t see me clicking frantically at auction to get a bottle. Still a good experience – an extreme whisky that’s worth a go if you can get a dram. It’s just not as balanced as last year’s release. So in my view, one okay, one brilliant, but both a little different, both providing an exotic thrill of some kind. Go and hunt one out. In fact, if you haven’t before, just hunt out any festival bottling. 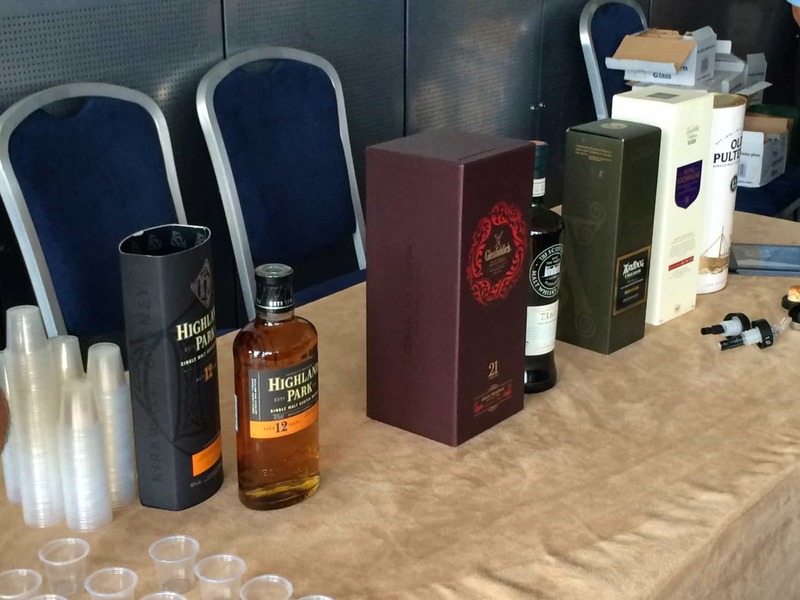 The Feis Ile festival held on Islay annually is a week long celebration of all things whisky. Each distillery takes it’s turn in the spotlight,..